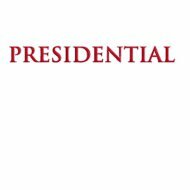 Presidential Health Insurance is committed to obtaining the lowest quotes in the industry for every American. Since the health reform law went into effect, Presidential Health Insurance has been actively researching the most affordable health insurance quotes for American citizens. Since it may take until 2014 for the full effects of the law to be realized, you can visit the website today, to find a quote that will fit into your budget. Interested in health insurance? Find health insurance quotes tailored to your neck of the woods by entering your zip code here. Rather than worrying about if your primary care physician is included within an insurer’s network, Aetna provides the freedom to choose whomever you desire for your healthcare. With a co-payment of $10 per visit, this happens to be one of the most affordable and attractive healthcare options on the market today. If you happen to have a pet, Aetna believes they should be included in the families plan. If you’d like to invest in Pets’ Best Insurance, you can receive up to 80% back on all of your pets veterinary bills, for covered services. It doesn’t matter how old your animal is, and they can be covered as soon as they turn seven weeks! This is the most affordable plan offered by Assurant, and the most popular. You can dictate how much you pay for premiums, depending on your level of benefits. This is a great plan for families, as it allows you to have one deductible overall and you receive tax benefits. By having one deductible, you can save all of your money allocated toward premiums, and treat this as a tax-free savings account. Your deductible also includes prescription drugs! BlueCross BlueShield serves an American in every zip code across the entire United States, totaling almost 100 million citizens. They have taken the Obama administration’s initiative and have continually made efforts to improve healthcare and outreach to Americans no matter where they are. Most recently, BlueCross BlueShield introduced a free app that is compatible with all the latest smart phone technology, that lets its members find a doctor or hospital within the BlueCross network, no matter where they are. They understand that people are always on the move, and if an accident were to occur, this app will allow you to find the closest help possible in your time of need. For over a year, the Good Health Club book has been in circulation to doctor’s in the BlueCross BlueShield network to help improve awareness on both childhood diabetes and obesity. The center for disease control reports that in the past 20 years, the amount of children afflicted with these conditions has doubled, and BCBS is doing everything they can to help reduce those numbers. Blue365 is a recent initiative that is tailored to a member’s area of the country, to provide savings for making health decisions. With partners such as H&R Block to assist with your federal tax returns or POLAR to assist with a weekly workout routine, Blue365 insists on giving back to its members who are taking proactive steps to better their lives. For $35 a visit, they will pick up any remaining costs for exam or historical medical fees. In addition, prescription drugs are included at $15 co-pay with no deductible, at the tier 1 level. If a prescription drug happens to be within the established tier 2 to tier 4 ranges, the co-pay will be $35 at tier 2 and $65 at tier 3. If the drug is at tier 4, you pay 25% of the drug cost. The established tier 2-4 drugs have a combined deductible per member of the plan of $500 a year. This is a great plan for recent college graduates. If you happen to play a sport, and you know that an accident is a fair possibility, this plan is actually cheaper than the other plans offered then UnitedHealthOne. If you had to pay a visit to the hospital, each injury has a $500 co-pay, and then they will pick up the tab after that (up to $5000). If the injury costs more than $5000, UnitedHealthOne will pay for 80% of the remaining costs. If you are looking for affordable health insurance quotes, please enter your zip code here.